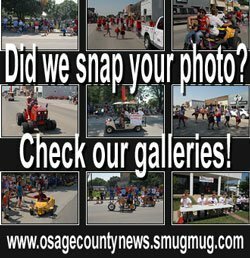 OSAGE CITY, Kan. – Ethel Ruth Watson, 100, passed away Friday, April 6, 2018, at Osage Nursing Center, Osage City, Kan. Ethel Ruth Jackson was born Sept. 15, 1917, in Emporia, Kan., the daughter of Lee and Ethel (Jacob) Jackson. She graduated from Reading High School, Reading, Kan.
She was joined in marriage to Robert O. Watson on March 24, 1940, in Osage City, Kan. Ethel was a lifelong homemaker and mother. She was preceded in death by her husband on Aug. 28, 1980; two sons, James Chris Watson and Charles Ernest Watson; a sister, Elva Griffith; and a brother, Emmitt Jackson and Chris Jackson. Ruth will be forever remembered by her two daughters, Sharon (Dale) Stromgren, Osage City, and Regina (Hal) Henry, DeSoto, Texas; two sons, John (DeAnn) Watson, Osage City, and Richard (Linda) Watson, Carrolton, Texas; 14 grandchildren, 27 great-grandchildren, and nine great-great-grandchildren; and many nieces and nephews. Funeral service will be at 11 a.m., Tuesday, April 10, at VanArsdale Funeral Chapel, Osage City. 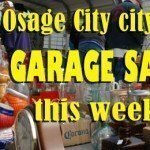 Burial will follow service at Osage City Cemetery. Family will receive friends one hour before service. 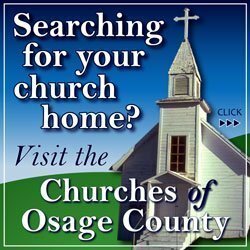 Memorial contributions may be made to Osage Nursing Activity Fund and sent in care of VanArsdale Funeral Chapel, 107 N. Sixth St., Osage City, KS 66856. Condolences may be expressed at vanarsdalefs.com.